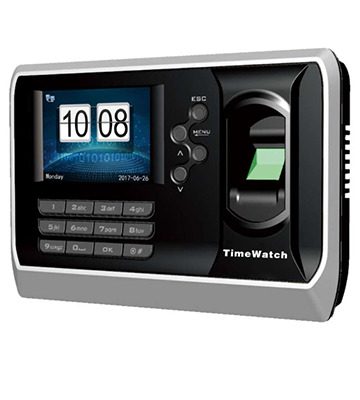 Timewatch BIO-3 Time & Attendance Fingerprint, Password, Card. Bio-metric Fingerprint Time Attendance Device. Communication Interface USB, LAN Host and Slave. User Capacity : 5,000[FP/Card, Mi-fare - Optional)/Pwd]. Log Capacity : 1, 60,000. Access Control Optional with Relay, Battery Backup.